Deadgrass, the five-piece string band dedicated to continuing the spirit and music of Jerry Garcia and the Grateful Dead, have confirmed a run of California tour dates in late February and early March. The group will kick off the stint on February 27 in Felton, CA, and will also hit stops in Redwood City, Sebastapol and Arcata before wrapping up on March 3 at Sweetwater Music Hall in Mill Valley. See the California tour schedule below, along with video of Deadgrass’ performance of the Dead’s “Ripple” in the Relix office last year, and get all of the band’s show and ticketing information here. vibrant...sparkles with energy... anthemic... a memorable universal connection. 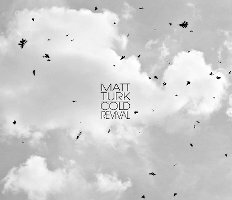 On his latest release, Cold Revival, Matt Turk expertly weaves track after track of acoustic guitar and mandolin into a folk-rock fabric where they can stand on their own or sit comfortably side by side with electric guitars,lap-steel, keys, and vocals. A finely tuned balance of optimism and realism... Those looking for the songwriting depth of John Gorka and musical charm of Peter Mayer will find this one appetizing and enjoyable. "Cracked Egg" a "gorgeous cascading song...(with) stark lyrics and pounding rhythms that add to the angst conveyed by this talented artist. With Cold Revival, Matt Turk has distinguished himself as one of the premier talents of our time, and this is one of the best albums ever made. It is that special. While grounded in the genre's (folk music) values, Turk is an edgy innovator not content for an electric guitar to merely resonate when it can screech and howl. A well crafted, thoroughly original offering, Cold Revival is nothing less than a revelation. 11 songs that are warm and embracing; emotional and yet never cloying... damned fine stuff. 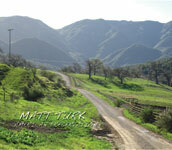 Matt Turk's voice and delivery bring to mind Harry Nilsson in the raw and passionate qualities of his style. His storytelling through song exudes the classic troubadour with guitar in the rock'n'roll arena that is sorely needed today. Turk has poured his heart and soul into Cold Revival and the record's tunes of relationships, loss and the redeeming power of love figure to worm their way into your brain, in a very good way. It's time you got to know Matt Turk. Bluegrass, Americana and folk music fans with open minds will enjoy Cold Revival. Interview with roots multi-instrumentalist Matt Turk, a troubadour, eternal idealist and peace loving realist. Music allows us to feel human, love, tread lightly and taste a little wisdom to appreciate the sanctity of all life. Music can turn us towards compassion. Talkin' Turk: A local musician goes from recording with a legend in Fishkill to sitting in with celebs in the South of France. 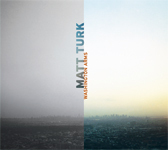 Matt Turk's beautifully arranged and performed acoustic pieces... a fresh listen. X Since 1987 when Matt Turk founded a band called the Hour, his sincerity and precision in the Jam Band and Folk Rock scenes has turned a humongous amount of heads. Appearing on the same bill at one time or another with Bob Dylan, Mickey Heart and Phil Lesh (Grateful Dead), Richie Havens, Hot Tuna, and Pete Seeger to name only a few has left a radiant calling card the past quarter of a century. As a solo performer for about two decades Matt paved a second path of musical proficiency. The 2006 release "Washington Arms" showcases Matt's competency in balancing electric and acoustic guitar talent without the vocal message being buried. The opening track "Intro Nothing" could come out of a U2 catalog. It hits you hard and often and lays the foundation for the next nine songs. A cover of one of the finest tunes ever penned "I'd Love To Change The World" (originally found on Ten Years After 1971 album A Space In Time) is another stellar addition to the CD. Matt stays faithful to the 70's sound while putting his own vocal slant in the mix. "Endurance" is another solid rock track leaving a mark throughout the 3:40. A fitting finale song "Sky" is somewhere a cross between Led Zeppelin meets Bad Company. For the record the Washington Arms is a pre World War 2 apartment building located in New York (Hastings-On-The-Hudson). If these walls could only talk. Correction, they have and the stories are exquisite. Sometimes a song reverberates long after its original release date. The phenomenon is more common in authentic folk music than in the ephemeral pop marketplace. Such is the case with "Silver Ring." X Sometimes a song reverberates long after its original release date. The phenomenon is more common in authentic folk music than in the ephemeral pop marketplace. Such is the case with the "Silver Ring," a contemporary folk rock tune penned by singer-songwriter Matt Turk. "Silver Ring" was first released on Washington Arms, a 10-song album from 2006. Bursting with ringing acoustic guitar chords and tasteful electric riffs, the song and album highlight Turk's talents as composer, vocalist, and guitar player. Accompanied by drummer Kevin Hupp and bassist Kevin Jenkins, Turk creates a textured musical sound on both melodic ballads and uptempo rockers. 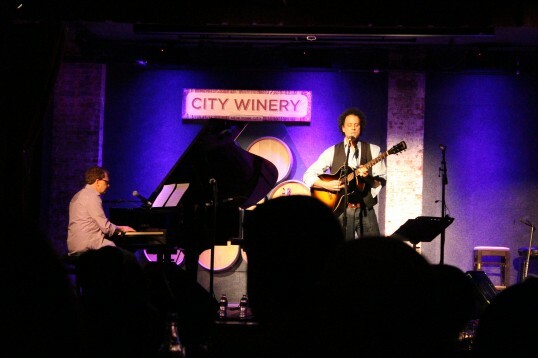 On "Silver Ring," the trio is joined by keyboardist C.P. Roth, whose organ playing adds yet another dynamic to the song. In fact, it is no exaggeration to hear in "Silver Ring" a 21st Century development to what The Band was conjuring up in a famous basement at "Big Pink." "Silver Ring" blends together together Turk's troubadour-rooted vocals, the instinctive interplay of acoustic and electric guitars, the sound space opened for dramatic organ fills, and the steady underpinning of bass and drums. Turk's lyrics connect personal feelings to universal truths, locating them in a particular time and place. The silver ring represents affection for nature in waves, shells, and sand dunes; affection for neighbors like an "old fisherman" fixing nets and ferry passengers "looking for happiness"; and of course affection for a special person symbolized in a "Silver Ring around my heart." Where "Silver Ring" is deeply personal, Turk chooses a "big picture" song from the 1970s as his only non-original on Washington Arms. He produces an inspiring interpretation of "I'd Love To Change The World," Ten Years After's only hit single in America. While retaining the song's anthemic aspirations and acoustic guitar passages, Turk makes a passionate statement that spotlights his own rootsy singing and playing. Joseph Tortelli has contributed to Goldmine Magazine (including their big Three Dog Night interview, one of the "interviews of the decade"; Discoveries Magazine (Moulty & The Barbarians interview), Record Collector, Gemmzine, The Beat and many other publications. One Hudson Valley favorite son is Matt Turk. "Modern Americana feel & a late '60s southern California country-rock flavor throughout. Turk taps into his inner Gram Parsons and dresses up some classics in Nudie suits and desert dust. Deft!" "the rootsy rendition of "America the Beautiful" arguably could be considered the definitive acoustic version." X An album of cover tunes is really all about the choices made of which tracks to include, and how those selections are interpreted. Americana artist Matt Turk takes that challenge in his recent self-released collection of 11 classic and traditional songs, "American Preservation." What appear to be some questionable choices at first glance of the track list, wind up being stand-outs on this CD. T. Rex hit "Bang a Gong" is creatively given a swamp rock vibe with harmonica, and Turk's whispery vocal is backed up by the set-stealing voice of Gaby Moreno, whose octave break in the chorus is a force of nature. Moreno adds her smoke to the romping traditional "Mama Don't Allow," and the two artists' rootsy rendition of "America the Beautiful" arguably could be considered the definitive acoustic version. Not all of the tracks are remarkable. Turk's take on Arlo Guthrie's "City of New Orleans" doesn't bring anything new to the table except a heavy helping of steel guitar, and "Wabash Cannonball" has a wall of sound in the chorus vocals that's unpolished. Turk and Moreno have an uncharacteristically forced delivery on the cover of the Rolling Stone's "Sweet Virginia," perhaps struggling to be heard over the production which is filled with instrument solos competing with one another. An opposite approach is taken on his vision for Jim Croce's "You Don't Mess Around with Jim," with soft drums and laid back vocals backed by touches of dobro and steel, proving to be a classy arrangement. The album ends with an emotional a cappella version of Pink Floyd's "On the Turning Away." Recorded live in Burbank, California, and produced by David Dobkin and Dan Pinnella, this record is a showcase of "good picking": both the musical-instrument kind and the decision-making kind. The inclusion of four British band classics is just one more interesting choice that makes "American Preservation" an innovative collection. "The Fog of War with special guest Pete Seeger is a remarkable video."